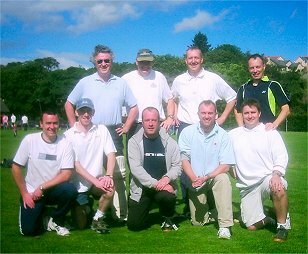 Catterline entered a team in Stonehaven Thistle Cricket Club's annual Cricket Fun Day, a one day 7-a-side cricket tournament held at the end of each season. Feeling some need to improve on the previous year's performance, the team decided to practice a little and enlisted the village's "real" cricketers (Denis, Nigel and Stephen) to provide some coaching on the Friday night before the tournament, on a temporary "wicket" hacked out of the playing field by Nigel. 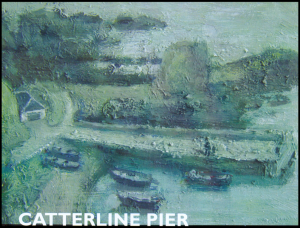 The practice seemed to pay off, as Catterline won their two first round matches and came top of their group, comfortably beating both "P.U.S.S.Y" and the combined Police & Tennis Club team. Submitted by stephen on August 20, 2004 - 00:00.